Why would I need self storage in Island Park, NY? There are a variety of reasons why you might need self-storage in Island Park, NY. How much is a storage unit in Island Park, NY? The cheapest storage unit in Island Park, NY is $89.00 per month. What size storage units do you have available in Island Park, NY? In Island Park, NY we have sizes that range from 5'x5' to 10'x30' to suit your storage needs. How much is it for a 5'x5' storage unit in Island Park, NY? The cheapest 5'x5' storage unit in Island Park, NY is $89.00 per month. Island Park is a small but thriving village, home to just a few thousand people and spanning about 1.5 square miles. Most of the homes in the area house year-round residents, but there are many summer homes in the area as well. With gorgeous waterfront views, a one-hour commute to New York City and all of Long Island within just a short drive, Island Park is a highly desirable place to live in Nassau County. Located on the southern coast of Long Island, Island Park has had many names over the years. Once known as Barnum Island and as Jekyll Island, the Island Park area was largely agricultural in its early years. The arrival of the Long Island Rail Road brought summer visitors to the area in the late 19th century, and Island Park soon developed into a resort island. Island Park was officially incorporated in 1926, and both summer homes and year-round businesses soon followed. Island Park and surrounding Nassau County have a variety of businesses in many industries. If you'll be looking for a job in the area, you'll find quite a wide range of options. The area's largest employers include medical and dental supplier Henry Schein, communications provider Cablevision Systems and information technology company CA Inc. Other major employers include filtration manufacturer Pall Corp., financial company Broadridge Financial Solutions and industrial equipment manufacturer Systemax. With an unemployment rate that's considerably lower than the national average, Island Park is a fairly good place to be in the market for a job. The largest industries in the area include education and health services, trade and transportation, government, and professional and business services. Elementary and middle school students in Island Park enroll in Island Park Public Schools. Students in kindergarten through fourth grade attend Francis X. Hegarty School, while students in grades five through eight attend the Island Park Lincoln Orens Middle School. High school students in Island Park attend either Long Beach High School in the Long Beach Public School District or West Hempstead High School in the West Hempstead Union Free School District. Utilities: Major utilities providers in Island Park and Greater Long Island are the Long Island Power Authority, National Grid and New York American Water. Garbage and Recycling: Trash is collected three times a week. Recyclables, yard waste and bulky items are also picked up on a regular schedule. 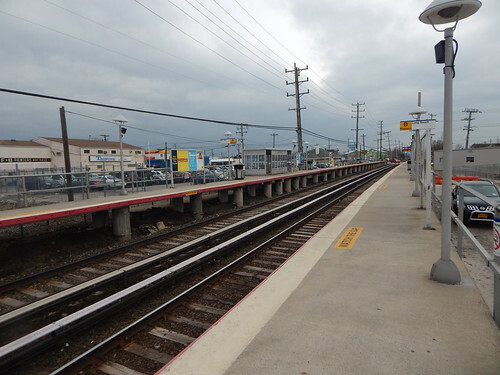 Transportation: The Long Island Rail Road is the primary options for public transportation in and around Island Park. Island Park's most desirable and priciest real estate is located along the waterfront, especially on the village's western side. If you're looking for more affordable homes, you'll find numerous options along Austin Boulevard. Island Park is a fairly small community, so housing options can be somewhat limited compared with large cities. However, you'll still enough options to find something that works for you. Our lowest priced units in Island Park, NY average $89.00 per month. 38 people have reserved units in Island Park, NY in the past 30 days. There is 1 location within Island Park, NY's city limits.